Out of all the hours you spend in your work space, it is evident that you spend most of it on your chair. 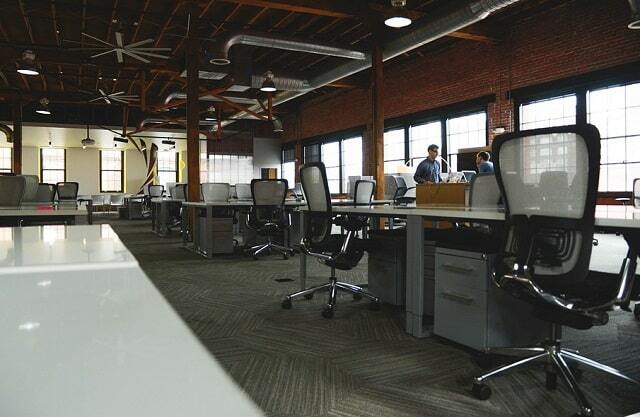 Many people even spend about 90% of their time sitting in their office chairs alone. It is a necessity more than a desire because most office work requires you to sit in your chair and work on things that require more mental and less physical capability. So it is in your best interests to get an office chair that is completely optimized. For example, it should have lumbar support, a decent headrest, armrests, and an option to adjust the height. You can even check the most recommended ergonomic chairs by Singapore companies. All these options will enable you to spend your time in a place with maximum comfort and no chance of undergoing ergonomic issues. One of the most prominent dilemmas that you face on a cluttered office desk is that looking for a single item is a massive pain. You have to dive under layers of papers and files, and then maybe you’ll get your hands on that pen, or writing pad, or file. Getting a desk organizer, in this situation can take a huge burden off your shoulders and save you a lot of time as well. You will have a clear view of everything that is on your desk, and you will not have to spend extended time periods in search of one object. We cannot emphasize enough on the importance of windows in an office space. Many office spaces are entirely closed off from the world, the people inside breathe the same artificially ventilated air and bathe themselves in clinical white lights. Artificial white lights are even known to disrupt a person’s working momentum because of the positive ions they give out. In this situation, having a window can be very beneficial. First of all, it gives you access to the fresh air from the outside world. Other than that, it also acts as an entrance for sunlight. The warmth and natural glow of the sun are known to produce negative ions which counteract the harmfulness of positive ions and makes our environment more comfortable for work. Sunlight can also get rid of bacteria and other microorganisms around the place that thrive in its absence. Very often office workers are forced to shift their angles and perspectives to get a good look at a monitor screen which cannot be adjusted. This constant shift in position can be harmful to their anatomy and can cause problems for the neck, shoulders, and even the back. So your best bet in this situation is to get monitor arms. They will enable you to adjust the monitor’s angle as per your wishes, and you can sit in maximum comfort while working. We all want a good cup of coffee in our office hours to keep us on our toes. But no one likes it when this coffee grows cold when we are working on something urgent. So get your hands on a USB cup warmer and keep your coffee warm for as long as you want. Author Biography: Hannah Tay is an interior designer by profession, and she knows all the ins and outs of using the right quality of the furniture and accessories for home decor and workplace. She is also a blogger who loves to write about the home and office maintenance tips and tricks. Read more about her posts at ergoedge.co. I hope you enjoyed this article about how bootstrapped businesses can keep their office spaces cooler and more comfortable. Interested in more articles about office decor and organization?